This is such a pretty look love the hat, bag and shoes! 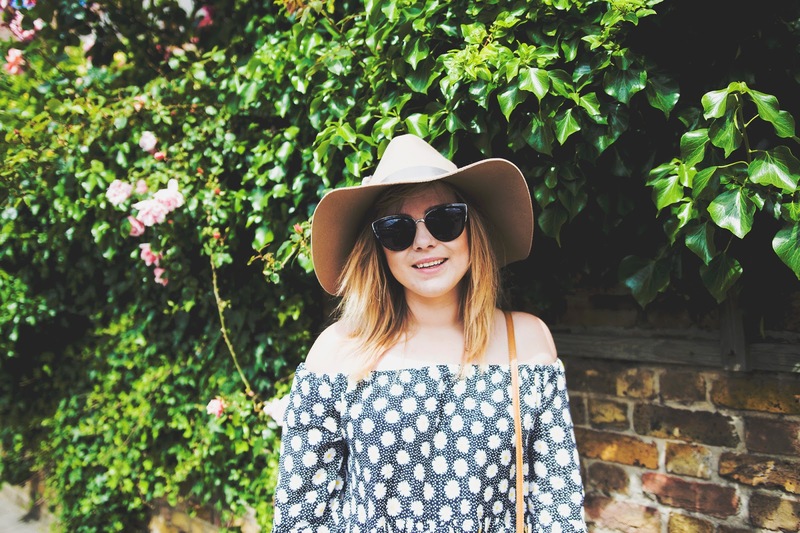 Love the top Lily, and your new blog design is so cool too - very interactive! This outfit is soo cute!! Especially loving your shoes!! This outfit looks so pretty and flattering on you! Love everything about it! I am in love with this outfit! It looks so good on you. This is such a cute and summery outfit! i want your shoes so badly! That top is so so cute! LOVE it! 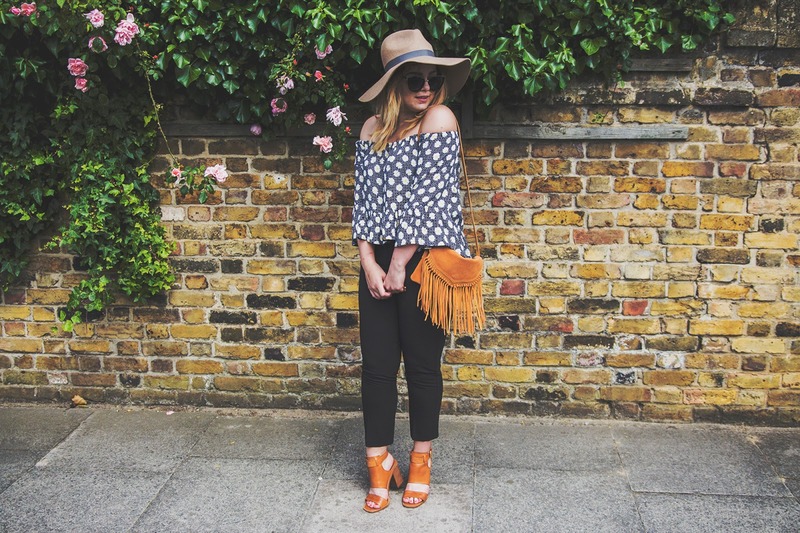 I love the daisy print, I'm lusting after that bardot top now! What a pretty outfit and you make me really try boho and get some tan accessories. That top is so pretty and I love the bag! 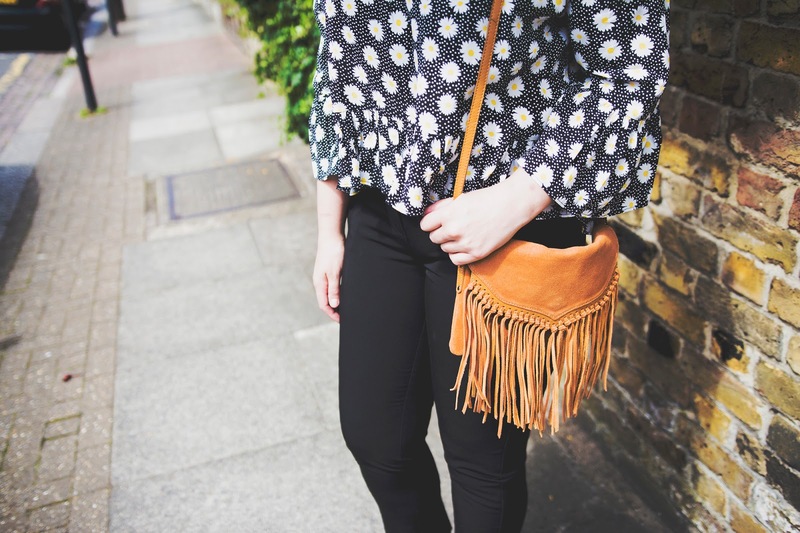 I love your fringe bag, great style and outfit! love the heels, such a nice look! Love the outfit, this style really suits you :) the shoes are great! Such a stunning outfit, I love the colors! 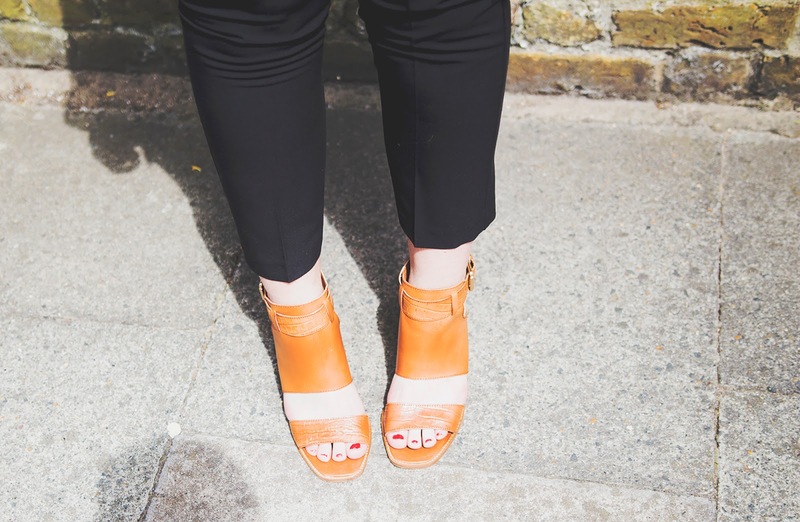 Love the heels, so wearable for the daytime! 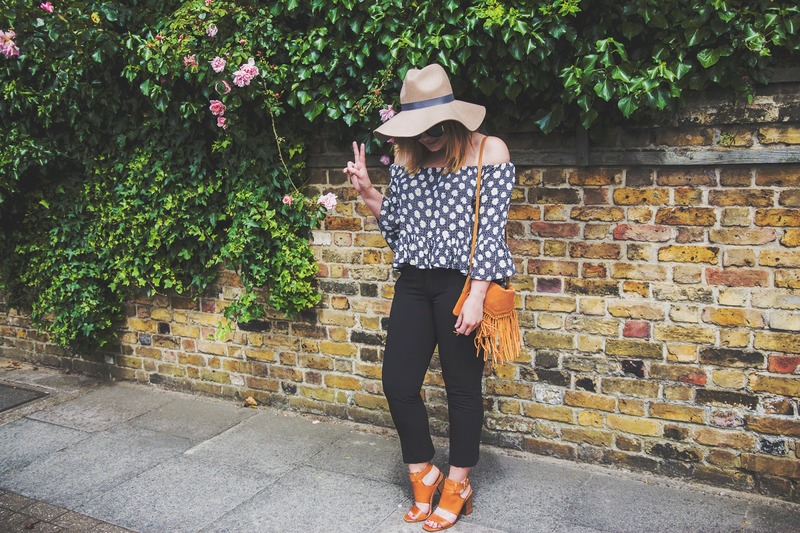 Loving this carefree summer look. It really suits you, Lily! 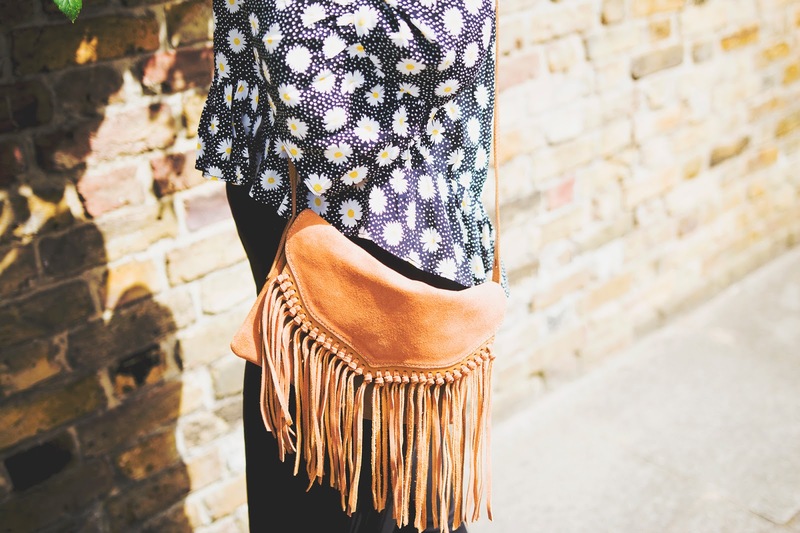 Love the fringe bag. This outfit is adorable. I can't even put into words how much I love this outfit!! Looking gawgus as always, I'm not confident enough to pull off the whole "off the shoulder" look. Your hat and bag are everything tho! That top is everything! So pretty! Love this look Lily! The top is gorgeous, as are the shoes!! I'm totally loving Topshop at the moment! love the top lily it's so cute your looking fab! Love the outfit! 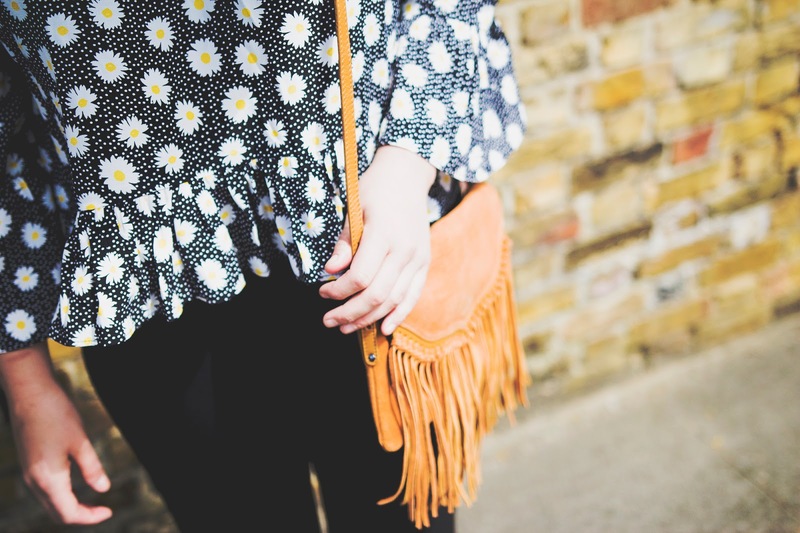 That off shoulder girly daisy top and that fringed bag!!! Very outstanding! That bag looks so cute!! good to get to a growing number of individuals with these apps, 9Apps APK With some added features as well as a couple of improvements in the efficiency nice. good applications currently. For that reason, Terrarium TV App Chromecast is an electronic media streaming player nice. good Kodi Add-ons. It consists of premium skin Kodi for iOS audio players as well as Smart Tv with infinite possibilities nice. the portal online. It is advised that you make use of Google Chrome USPS LiteBlue ePayroll as well as Direct Deposit allotments for retirement that is currently.